Clubfoot is a deformity present from birth that severely twists the foot downward and inward, making walking difficult or impossible. While it cannot be prevented, it can be corrected, and the treatment is inexpensive. The medical term for clubfoot is congenital talipes equinovarus (CTEV). You may also see it referred to as “club foot” or by its French name, pied bot. 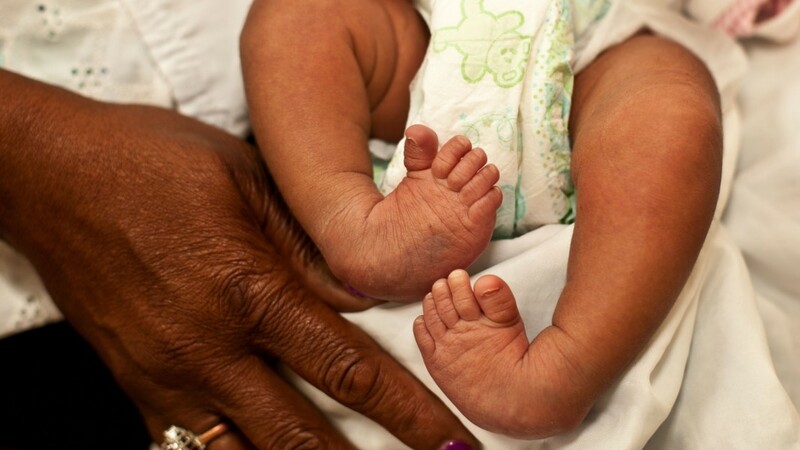 50% of patients with clubfoot have it in both feet. This is called bilateral clubfoot. The exact causes of clubfoot are still unknown, but studies have shown there are multiple factors involved. You probably know someone who was born with clubfoot! In the United States alone, about 5,000 children are born with the deformity each year. Nearly all of these receive treatment and are corrected before they take their first steps. What are the symptoms of clubfoot? How do I identify clubfoot? Clubfoot is apparent at birth. Despite its appearance, it is painless in infants. Eventually, however, clubfoot does cause discomfort and is a noticeable disability. Walking will become difficult or impossible, and the longer the condition goes without treatment, the more complicated and expensive correction will become. Persons with untreated clubfoot often experience tremendous ridicule, shaming, and discrimination. Clubfoot can occur in one or both feet. Accordingly, these symptoms may be present in one or both feet. In the past, clubfoot was treated with surgery. While effective, this method resulted in a stiff, less flexible foot. This process was not only painful for the patient, but expensive as well, making it available only to those who could afford it. Today, the globally accepted standard treatment is the Ponseti method, a minimally-invasive approach which was developed by the late Dr. Ignacio Ponseti at the University of Iowa. Because this method relies on casting and a tenotomy instead of major surgery, the treatment is more affordable and can be made more easily accessible. CURE has even had success making the Ponseti method available in low- and middle-income countries. The earlier treatment with the Ponseti method can be started, the better. The ideal time frame is soon after birth, and every effort should be made to begin treatment before a child learns to walk. The treatment phase begins with a series of casts that gradually move the foot into the correct position over the course of 6 to 8 weeks. The foot is gently manipulated, then placed in a cast to hold the new position. Each week, the cast is removed and the foot is again manipulated and placed in a new cast, incrementally moving the foot into the correct position. For many children, a tenotomy is required to lengthen the Achilles tendon. This outpatient procedure can be performed under local anesthesia and is done before the final cast is applied. The final cast is in place for 3 weeks, ensuring flexion of the foot while the tendon regrows. Following casting, the maintenance phase begins. In this phase, the feet maintain their corrected position by the use of a foot abduction brace (sometimes called “boots and bars”). The brace is worn 23 hours a day for 3 months, then worn at night until the child is 5 years old to ensure the correction. 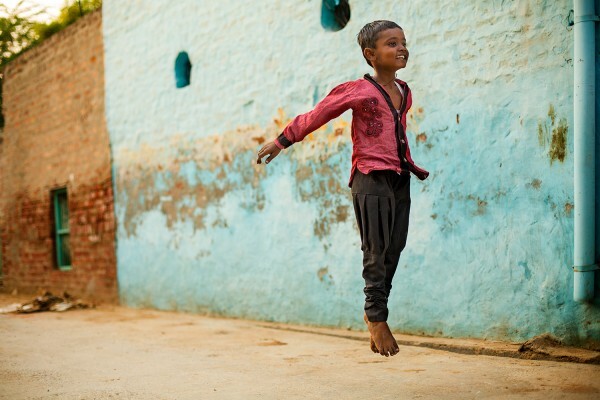 Mohit’s clubfoot was corrected using the Ponseti method at CURE clinics in India. Read his story at http://photos.cure.org/rise-up-walk. The result: mobile, pain-free, flexible feet! There are some situations in which surgical treatment is needed. For example, if an individual did not receive treatment when they were an infant, or if treatment was begun but not followed through to completion, surgery may be necessary. In a small percentage of the population treated using the Ponseti method, a child’s clubfoot will relapse. If repeated treatment is not effective, they, too, may require surgery to achieve proper long-term correction. In seven of the countries where CURE is providing clubfoot treatment, we also have pediatric orthopedic hospitals that are able to provide surgical treatment for clubfoot when needed. 1. For more information on global clubfoot statistics, see “Birth prevalence of congenital talipes equinovarus in low- and middle-income countries: a systematic review and meta-analysis” (Smythe, Kuper, et al., 2017). 3. For more information on the causes of clubfoot, see “Update on Clubfoot: Etiology and Treatment” (Dobbs & Gurnett, 2009) and “Congenital talipes equinovarus: an epidemiological study in Sicily” (Pavone, Bianca, Grosso et al., 2012).